Billions of euros in suspicious transactions through Satabank are under investigation. Financial regulators and police are looking into a cornucopia of cases with suspected links to fuel smuggling, drug trafficking, the Mafia and black listed countries, a senior source privy to the case has told The Sunday Times of Malta. “This makes previous cases of money laundering through a Maltese financial institution look like child’s play,” the source said. 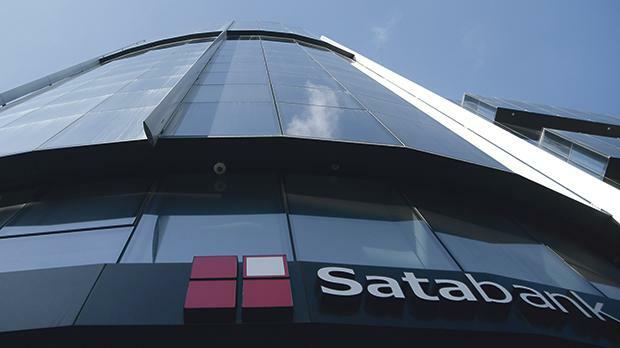 All 12,000 of Satabank’s accounts were effectively frozen by the Malta Financial Services Authority last October, with EY (formerly Ernst and Young) appointed to administer the bank’s assets in “the best interests of depositors”. The move came after a joint inspection and audit by the Malta Financial Services Authority and Financial Intelligence Analysis Unit last year found shortcomings in the bank’s anti-money laundering procedures. The police have since been roped in, as well as a magistrate to help facilitate the investigations. Details of what irregularities were discovered at the bank have so far been held under lock and key. Sources however have now told The Sunday Times of Malta that the extent of the alleged irregularities detected at the bank in recent months had exceeded what the authorities had initially expected. They explained that tens of billions of euros in transactions had passed through the Paceville bank during its four years of operation and investigators now believe as much as half of these may have been “high risk and highly suspicious”. “There are accounts through which hundreds of millions were channelled, with very lax controls, and in some cases from questionable sources. Each account is now being analysed to make sure that only ‘clean funds’ are released. It is a painstaking process,” one source said. Meanwhile another high-ranking source, from a financial regulatory body, said the extent of the rot discovered in the Satabank probe begged the question of how the bank was given a licence to operate on the island in the first place. “The aggressive business model of on-boarding clients with limited due diligence, and processing transactions with very weak governance and anti-money laundering procedures, certainly attracted many people, but it also attracted the worst kind of people. This is a huge mess,” claimed a source who is involved in overseeing the case. Satabank was compared to the popular UK-based financial services application Revolut, which allows relatively small peer-to-peer payments with lax controls. “It is one thing to move €50 from one person to another on Revolut, it is another to move €50 million with basically the same level of oversight,” he alleged. “In fact, the bank hardly operated as a bank at all – it was more of a payment institution through which more than €30 billion were channelled as payments and transactions,” the source said. Prior to the bank gaining its licence in Malta, Satabank’s Bulgarian co-owner Christo Georgiev ran an e-money business in Luxembourg. He has since faced a number of international investigations into alleged wrongdoing. The group the bank forms part of had voluntarily surrendered its electronic money institution licence issued by Luxembourg shortly after Satabank was given its licence in Malta. The action against the beleaguered bank comes after a change in the MFSA’s top brass last year. Sources within the watchdog said that although the bank had been on the MFSA’s radar since late 2016, interest had intensified last year and a comprehensive compliance review had so alarmed the authority that a freezing order – the most severe action possible – was issued soon after. The move, however, did raise some eyebrows at it saw many ordinary clients who held accounts at the bank unable to access their funds. The authorities eventually released some of the regular funds to these clients after the review had already started. Another shock came at the outset of the probe when investigators learnt that the bank’s servers were not even located on the island – a direct violation of its licence. “So at the very start of the investigation, a request had to be made, through the competent authorities in other jurisdictions, to get our hands on terabytes of information. It was already clear, at that early stage, that there were going to be problems with this case,” a source said. The future for Satabank could include a surprise twist. A number of interested parties, including banks and foreign financial institutions with a presence in Malta, have expressed their interest in taking over the bank, sources said. This would see a shareholding transfer on the basis of a new business model, technology platform, service portfolio, governance structures and remediation plan. Such a shareholding change, the sources said, would need a business case analysis and compliance review including a thorough due diligence before any recommendations would be made to the European Central Bank for their consideration. Meanwhile, the sources said this was seen as favourable for the jurisdiction as more banks were needed.